Having spent five wonderful years working for Jennifer Eales Kim decided to open The Skin Connection in 2001 after much encouragement from friends and family. Opportunity knocked and she grabbed it! Kim studied a three year Somatology course at the Durban University of Technology and also has a international CIDESCO diploma. The salon started as a one woman show, but through hard work and commitment and the blessing of two dedicated and very talented staff members, it grew to the thriving business it is today. Kim sees The Skin Connection as her first ‘baby’ and her undeniable love and passion for her work and salon is so apparent, so much so that she decided to build a separate building on her private property for the salon. This has enabled Kim to work flexible hours so that she can spend valuable time with her precious little girls, but also keep her finger on the pulse of her thriving business. Kim’s sheer dedication and commitment to each and everyone she treats is the reason some of her clients have remained loyal for over 10 years. She leads by example and is the heart beat of The Skin Connection. 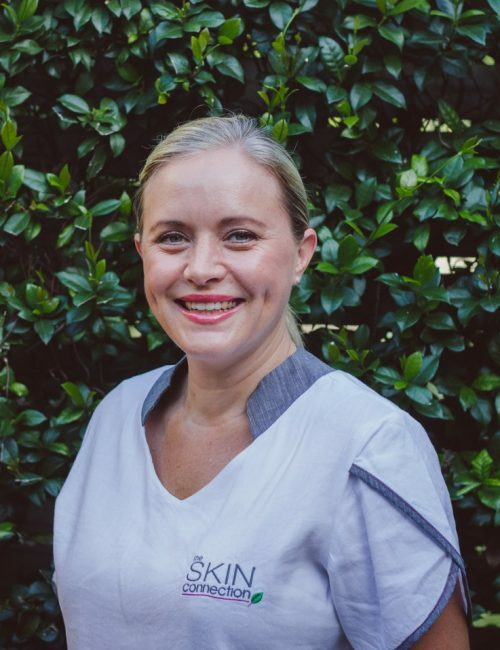 Carina Shacks joined The Skin Connection in March 2016 and has brought a breath of fresh air to the business! Carina studied at The Academy of Beauty therapy in Assagay in Kwazulu Natal, completing an intensive 3 year course in 2014, qualifying in all aspects of Somatology, as well as achieving her international diploma through CIDESCO. Her motivation for following this career path is her love of people. Empowering women by making them feel better about themselves and having a positive impact on their lives brings her such joy. 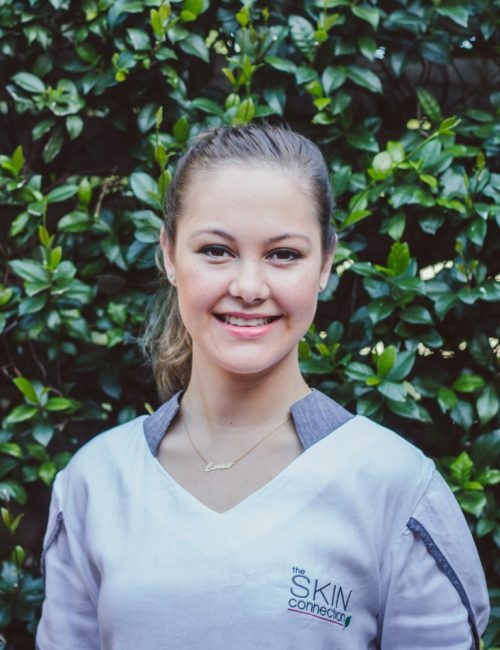 Carina is passionate about all aspects of skincare therapy and has a warm, caring nature that keeps her clients returning time and again.